Get ready to experience the single biggest cultural influence in Ireland. 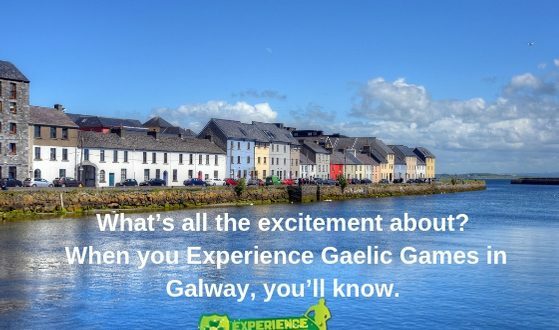 Get ready to Experience Gaelic Games. Our visitors go home with incredible memories, breathtaking pictures and unbelievable stories of warrior sports and their fun taking part. 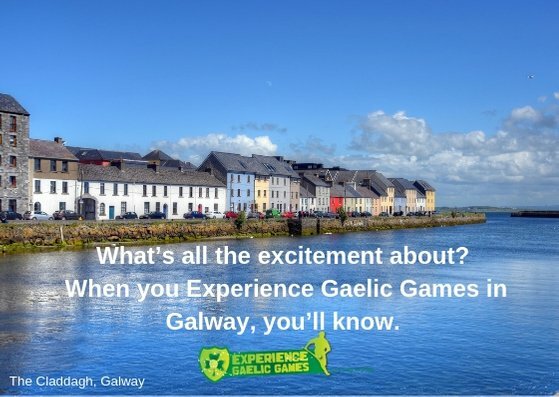 Experience Gaelic Games places you front and centre to the action. It’s a superb way to celebrate Irishness in its true authentic form. Above all, no gimmicks – just good old-fashioned Irish craic! But this time in Galway! So, join us for a few hours of fantastic fun. You will fall in love with the sports that over five million of us are crazy about. Come play our games and live the experience with Experience Gaelic Games in Galway! Our season is up and running and we are delighted to see familiar faces and so happy to welcome new visitors to Experience Gaelic Games. Experience Gaelic Games are delighted to extend our famous warm welcome this year to all our repeat and new visitors in Dublin. Our corporate groups are back for some more team bonding! The likes of Google, LinkedIn, Facebook and Siemens left the serious side of their working week behind them. They had great fun working on their team building skills with Experience Gaelic Games. Our yearly assortment of USA Colleges /Highschools along with a host of European School Groups are planning on trading the grid iron for the Gaelic world with Experience Gaelic Games. It’s not as strange as you may think; Experience Gaelic Games has been overseeing the transition for many years now. This year will be no different when we tell our industry colleagues that all their clients need when they visit Experience Gaelic Games is a pair of flat shoes and a sense of humour! So, in 2019 we are looking forward to extending our unique Irish welcome. Our visitors will have some true Irish Craic whilst bringing Ireland’s heritage to life through the play of Gaelic Games.